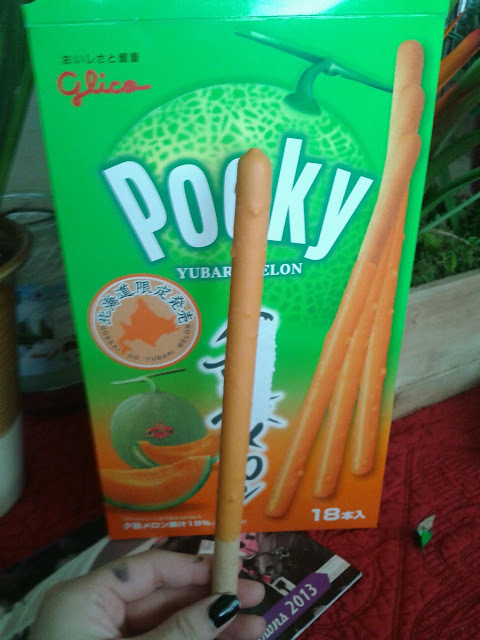 Today's goodies review is on this Glico Brand limited edition Yubari Melon flavored Pocky made specifically in Hokkaido , Japan. 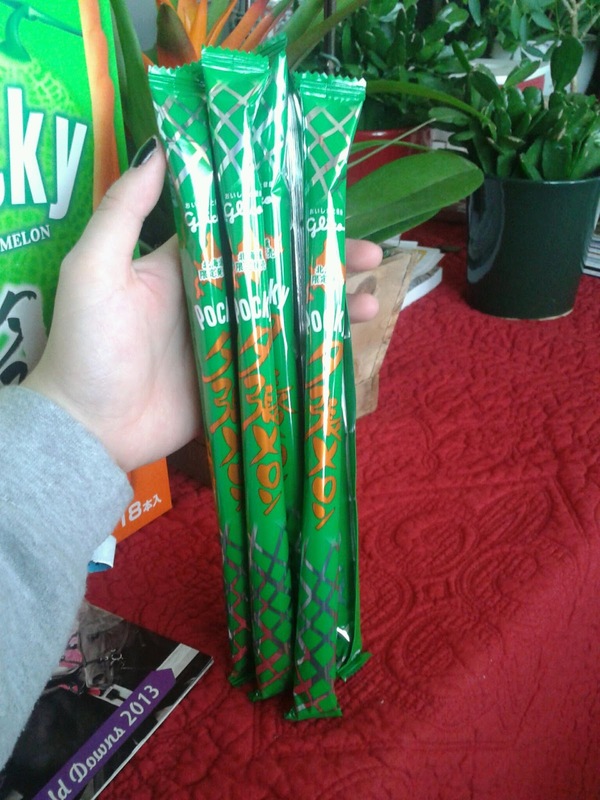 This retails around $17 to $18 and has 18 individual sticks inside. Apparently, The Yubari King Melon is one of the most expensive fruit in the world and is a hybrid of two types of cantaloupes found in Hokkaido, Japan. The sticks itself are about 12 inches long i'd say. My honest opinion of them is that it is kind of weird. 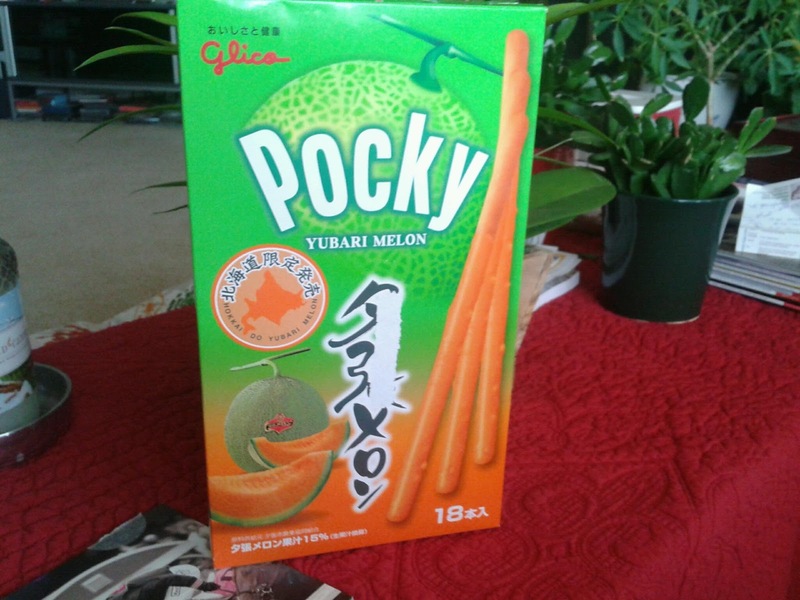 The Melon flavor is just reminiscent of a plain cantaloupe and has a weird after feeling after you eat it. I don't think I enjoy this cantaloupe flavor in chocolate form as much to hard candy or in an ice cream flavor.